This reader is happy to report that M. R. Hall’s sequel to his stunning debut, The Coroner, is just as intriguing. In The Disappeared, seven years have elapsed since the disappearance and presumed death of two young Muslim students. The case comes before Jennie’s court when the boys can be declared legally dead. A final declaration is up to the inquest that coroner Jenny Cooper must conduct. As her investigation ensues, Jenny picks up the unmistakable stench of corruption, with the British Secret Services playing a role. Her case takes turn after turn, building toward a shocking collection of power and influence. Her investigation meets with a determined and sometimes menacing resistance. At the same time, a Jane Doe corpse and a missing nuclear scientist cross her path. 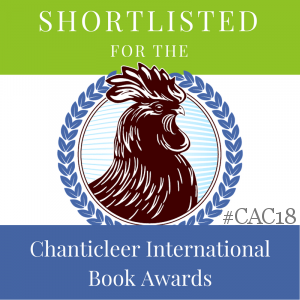 Adding to Jenny’s anxiety are her problems with her teen son, Ross, who disapproves of her every move; her relationship with her neighbor Steve; and the emotions stirred up by the appearance of a lawyer with a spotty past who just may hold the key to her entire investigation. Hall does a good job of intertwining Jenny’s personal problems, including her recurring anxiety confronting a gap in her childhood memory. Bringing his skills as a lawyer and screenwriter to his novels, this series promises to be continuing revelation. Today’s guest blogger is author Lois Winston, whose newest book is Assault with a Deadly Glue Gun. You’ll love this romp with protagonist Anastasia Pollack! I’ve been thinking quite a bit lately about how subjective taste is. Reading reviews of my book tends to do that to me. What makes one person love something that another person has a hard time swallowing, let alone enjoying? The other night my husband and I sat down to watch a movie. After fifteen minutes he left the room to watch a hockey game on another television. I continued to watch the movie. It wasn’t the best movie I’d ever seen, but it wasn’t the worst, either. I found the character studies fascinating, even if the plot left a bit to be desired. And I enjoyed the movie enough to want to sit through it until the end to see how the conflicts were resolved. But there are other times when I pick up a book and toss it aside after a chapter or two. Often it’s a book that has gotten rave reviews. Sometimes it’s even a book by an author I’ve read and enjoyed previously. When this happens, one of two reactions occur. I either a) wonder if there’s something wrong with me that I don’t get what everyone else sees in the book, or b) scratch my head, wondering why everyone else can’t see the flaws in plot and character that jump off the page at me. Then there are times when I fall in love with a book and recommend it to friends, only to have them question my taste. Or worse yet, my sanity. For many people peanut butter is the perfect food. For me it sets off my gag reflexes. I’m more a Cherry Garcia kind of girl. Taste. It’s one of the unsolved mysteries of the universe. 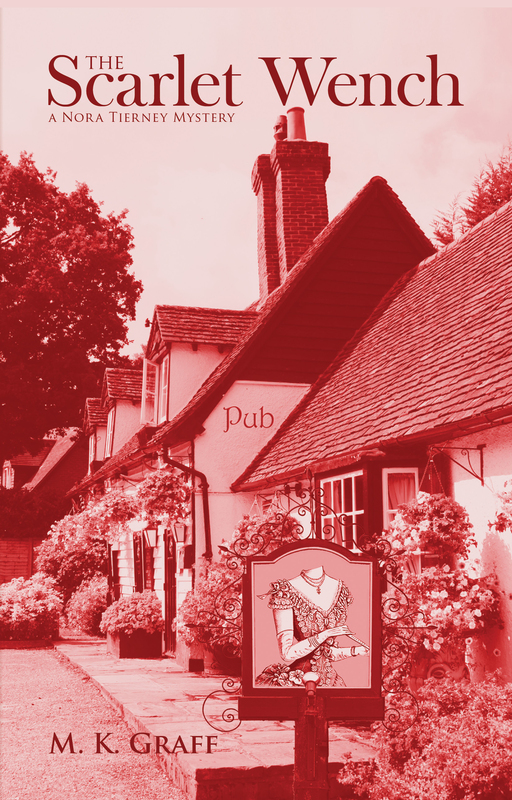 Award-winning author Lois Winston writes the Anastasia Pollack Crafting Mysteries series featuring magazine crafts editor and reluctant amateur sleuth Anastasia Pollack. 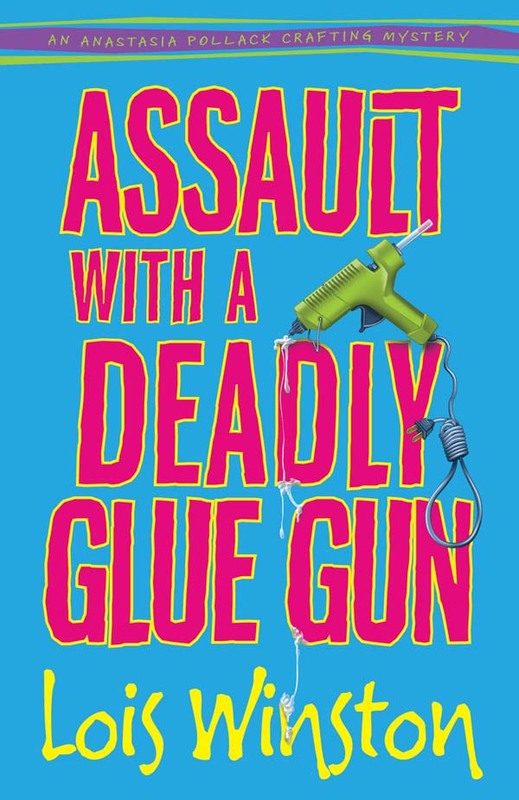 Assault With a Deadly Glue Gun, a January 2011 release, is the first book in the series and has received starred reviews from both Publishers Weekly and Booklist. Kirkus Reviews dubbed it, “North Jersey’s more mature answer to Stephanie Plum.” Lois is also published in women’s fiction, romantic suspense, and non-fiction as well as being an award-winning crafts and needlework designer and an associate of the Ashley Grayson Literary Agency. Visit Lois at her website: http://www.loiswinston.com and visit Anastasia at her blog: http://www.anastasiapollack.blogspot.com. Auntie M adores the author photo Jessica Dee Rohm has on the back cover of Sugar Tower. Mouth wide open, face stretched in a huge grin, she looks like someone shrieking with laughter. 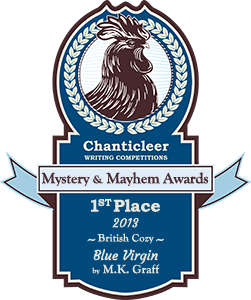 That’s why Auntie M wasn’t the least bit surprised when Rohm deftly inserted a series of silly puns in her murder mystery. Her Manhattan-based mystery is a treat, and was a quarter-finalist for the 2010 Amazon Breakthrough Novel of the Year. 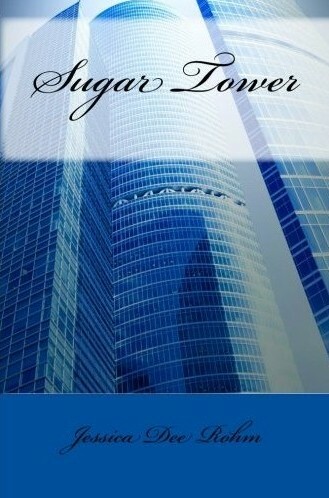 Anabel Sugarman’s body is found floating in the pool of the Sugar Tower, the recently completed exclusive condominium built by Anabel’s husband of five years, tycoon Barry Sugarman . Rohm does a great job of setting up her character’s and of showing us Anabel through their eyes, including her British mum, her sister, and the condo’s staff. Despite doormen and the concierge to guard them, Sugar Tower’s wealthy residents reveal their ideas and opinions about the dead woman, too. Seems Miss Anabel flew high in many ways, and knew how to rub people the wrong way as easily as she bought a new pair of Manolo’s. She was also a swimmer who’d always had dreams she would die in a pool. But who made her dreams come true? That’s the job real estate reporter Marchesa Jesus Piazza has in front of her. Known as “Mach” because she could sound like a sonic boom, Rohm sets up her protagonist as a feminist who is questioning her choices. Complete with a Jack Russell terrier named Kitty, Mach has a good friend in her boss, who just also happens to be her former lover. 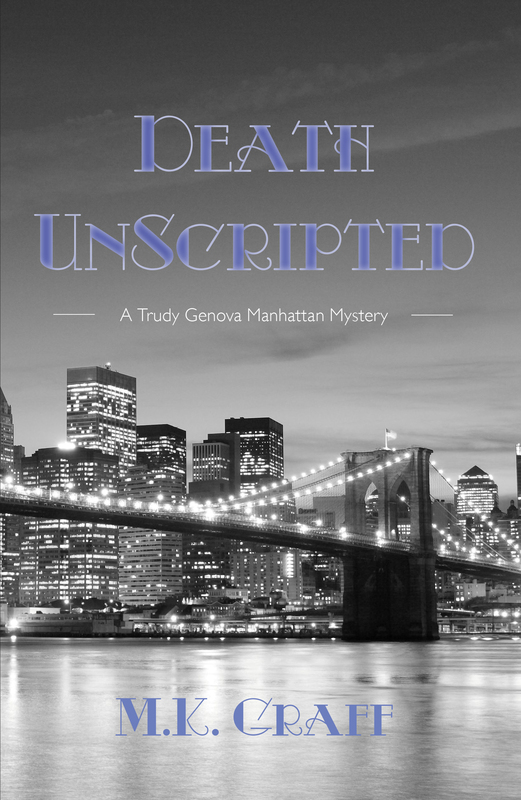 That history will come into play as she convinces him to let her investigate Anabel’s death, not knowing the jeopardy she will find. Rohm’s characters don’t often realize they are amusing, so you are surprised at the depths she wrings out of them. As the novel works to its whirlwind conclusion, you’ll be taken along for a ride as Mach uncovers what love and money can accomplish and cause. Let’s hope Rohm decides to let Mach keep on investigating. 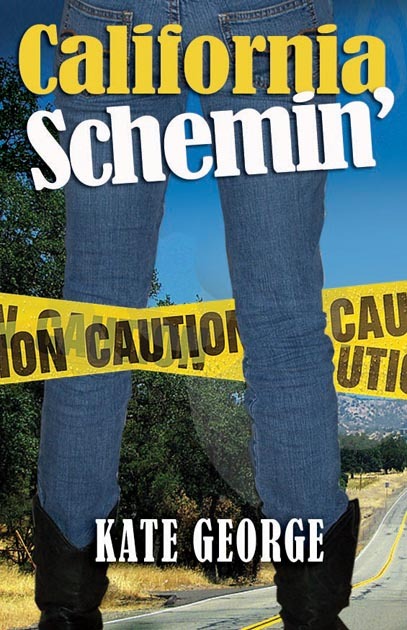 California Schemin’ is author Kate George‘s second book. Premiering this March, it is the second in a series featuring Bree MacGowan and a host of characters you’ll come to love! The story of how I came to write California Schemin’ starts way back before I wrote my first published book. Some friends and I were discussing reading. Janet Evanovich’s books to be precise. We were talking about the Stephanie Plum and how fun she was. Then I did something that was going to change my life forever. I said, “I could write a book like that.” And my friend Sara said, “Okay, then do it.” Sara and Buffy (no, not the vampire slayer) dared me to write a book, so what could I do? It was write or eat my words, and I’m not that fond of humble pie. 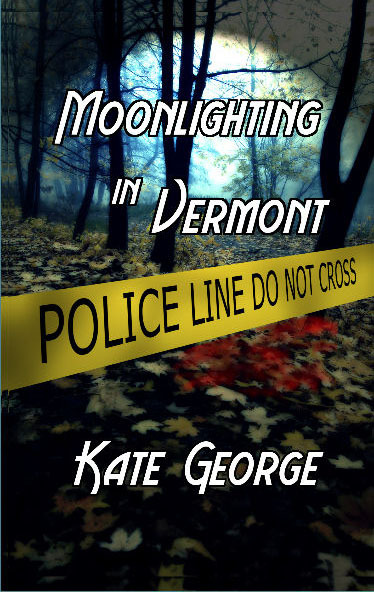 That book is Moonlighting in Vermont, the first Bree MacGowan mystery. But I didn’t feel that Moonlighting finished Bree’s story. There was still a lot of untold stuff in there. So Bree went to California and another dead body dropped in her lap. Literally. Dropped. I chose Northern California because it’s one of the places I know. I was born in Sacramento, lived on a ranch in the Sierra Foothills until I was eight, then moved to Canada but came back at fifteen to go to high school. Now don’t be shocked, but I was once in a car driven by a teenager that flew across the Foresthill Bridge at 120 mph. My mother would have died if she knew. So a great deal of California Schemin’ takes place in the environs around Sacramento. Bree also gets to spend a little time in Washington, DC, and at home in Vermont. She’s a little more proactive in this story. She developed a certain attitude after her previous experience with the criminal element. She’s more confidant. And she knows that she needs to be proactive, so her actions drive the story forward. Stuff happens, but Bree doesn’t lie down and let it run her over. She takes a stance. California Schemin is done, but the story still isn’t over, there’s at least one more Bree MacGowan in me – maybe more. Bree, Meg, Tom, Beau, Hambecker and Moose are fun characters to write about. And I’m starting to see an off-shoot here. I’m thinking Moose is going to fall in love (not sure who with), and probably solve a murder – with Bree’s help. 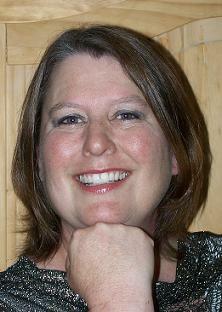 Award winning writer, Kate George, is the author of Moonlighting in Vermont and California Schemin’ (due out March 1, 2011). She lives in Vermont with Dogs, kids, and currently, snow. You can reach her at www.kategeorge.com. Her books are available at www.mainlymurderpress.com, amazon.com or can be ordered from any bookstore.